The budget was presented by Deputy Chief Minister Manish Sisodia in the Delhi Assembly and the government has allocated over Rs. 15,601 crore for the sector. Mr Sisodia in his budget speech said the allocation to the education sector is around 26 per cent of the total budget. “In the previous years the allocation for the education (sector) was around 24-25 per cent of the total budget,” he said. “The education sector has the highest share of 26 pc of the total budget allocation in 2019-20. I have mentioned this several times in this House that focusing on human resource development instead of education is a big mistake, because we cannot develop our children as resources,” Mr Sisodia, who also holds the finance portfolio, said. The education budget includes “Rs. 13,518 crore under revenue and Rs. 2,083 crore under capital,” he said. 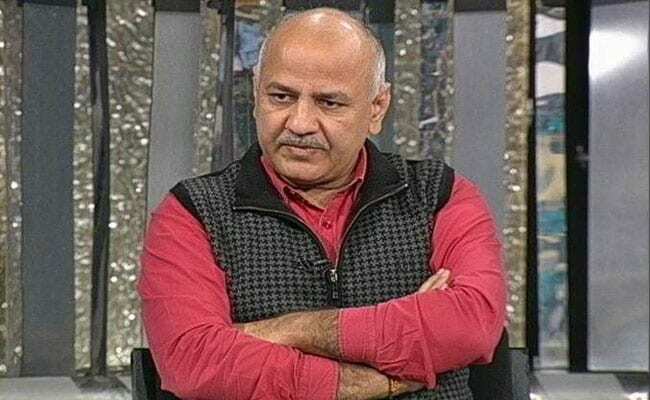 Mr Sisodia said an amount of Rs. 7,818 crore is earmarked for implementation of various programmes, schemes and projects in the education sector in 2019-20. The government has allocated Rs. 42 crore as seed money under the upcoming Entrepreneurship Curriculum to students in Class 11 and 12 in state-run schools and those studying in colleges and universities . The amount will be given to students to start developing their “business plans”. The curriculum will be taught to students studying in classes 9 to 12 in Delhi government schools. The government has announced it would establish a new university in “applied sciences”, which will offer skill-based courses at different levels– diploma, certificate, graduate and post graduate, M.Phil and Ph.D. The national capital will also get another university for teachers’ training, it announced. From 2019-20 academic session, government schools will also be given Rs. 5 to 7 lakh to strength its school management committees (SMCs). “The SMCs will also be given Rs. 1 to 1.5 lakh additional amount to help teachers who want to take new initiatives to make learning better at their respective schools,” Sisodia, who hold the education portfolio, said. He has also announced to give tablets to students studying in Class 11 and 12 in its schools of excellences. and Pratibha Vikas Vidhyalaya, and allocated Rs. 9 crore for the purpose. Government school students scoring 80 per cent and above in their Class 10 board examination will be given a tablet as a reward under a “Pratibha fellowship”. Under the chief minister scholarship scheme, the government has also announced an annual scholarship of Rs. 2,500 to government school students who scored 80 per cent and above in classes 7 to 12. “We want to encourage talented students studying in government schools. We are not going to set any minimum limit for income of parents required to avail this scheme,” Mr Sisodia said. The AAP government presented a Rs. 60,000 crore budget for 2019-20 and said it is “two times more” than the one presented in 2014-15.